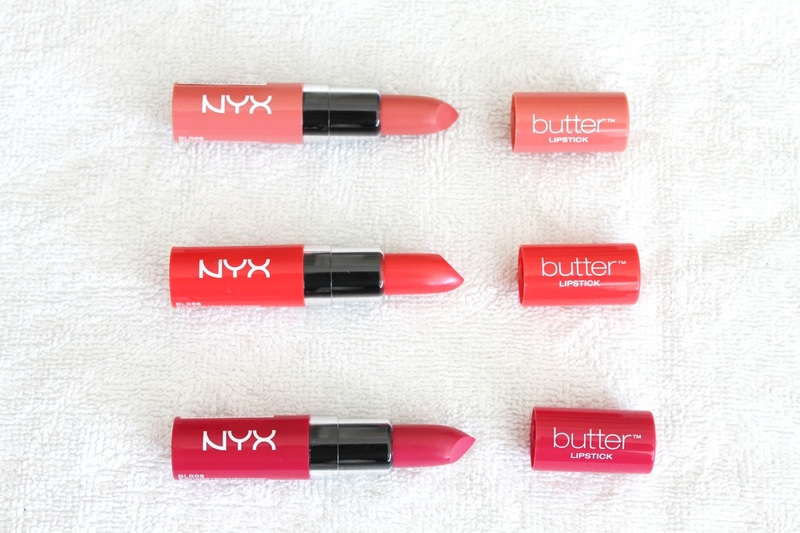 This week on my blog I featured some NYX products that I recently bought. Last one of the week is the Butter Lipsticks. I purchased the colours 'Candy Buttons', 'Fireball' and 'Sweet Tart'. My opinions are based on using 'Candy Buttons'. 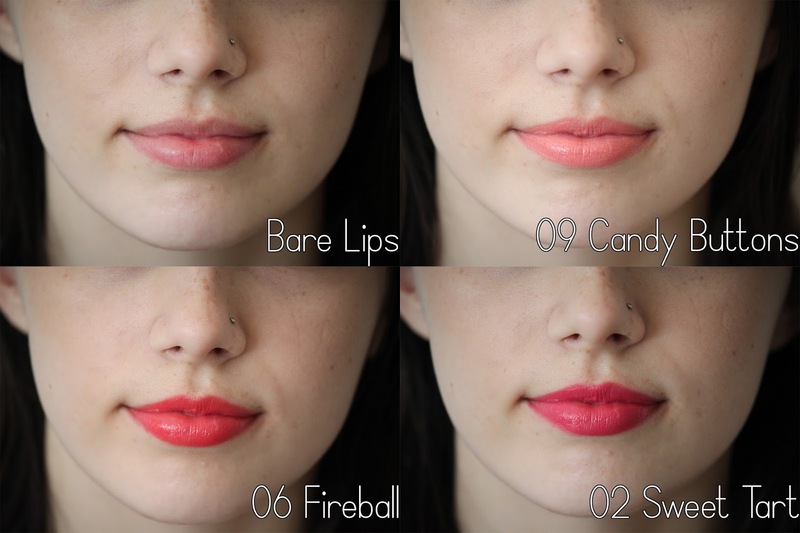 These lipsticks are really creamy and apply smoothy. They are quite pigmented, so it only takes a few applications to build to a solid colour. 'Candy Buttons' lasted quite well. The colour was still visible even after eating and drinking (though wore away slightly from the centre of my mouth). The lipstick also left a vibrant stain, meaning the colour appeared to last longer. It bled slightly into the cracks on my lips. All colours applied brighter than the bullet and the tube, which I was slightly disappointed with. My swatches don't quite show just how intense the shades are. I had purchased 'Candy Buttons' because I thought it was a neutral pink colour, however it ended up being more of a light, candy pink (which I should have guessed from the name). 'Fireball' and 'Sweet Tart' were also brighter than the bullet and tube, but all three are very nice colours. I really like NYX Butter Lipsticks. I love the smoothness and how well they lasted. To prevent it bleeding into dry lips, next time I will wear a complementary liner. My favourite colour of the three would be 'Sweet Tart'. It's a lovely, bold colour for Summer. NYX has some great products!